One of the things that I love about doing these tours is discovering authors that I would probably never have picked up or maybe not even noticed before. This is one book that I am glad to have read. Historical fiction is my favorite genre, however this is a time period I am unfamiliar with. The author did a really good job of describing this town of Nantwich, which I had no problem visualizing, from the workings of the town officials, cheese making to salt production. Set during the English Civil War I found the historical elements very interesting (though at times a bit over whelming and that could just be because I know little of this time period), but I did learn a lot, which is why historical fiction is a favorite. I like how the author states “In writing The Winter Siege, my aim was to take the framework of real history and fill in the gaps with a story of what could, or might have happened. Is it history or fiction? It’s for the reader to decide.” D.W. Bradbridge did a good job of 'filling in' the gaps that were believable and authentic. The main character, Daniel Cheswis, is a very likeable Constable who has his job cut out for him. I don't read a lot of mysteries, but I really enjoyed this one. From one murder to the next with its twists and turns this book provided an entertaining 'whodunit'. I enjoyed the authors writing style and hope that there will be more books in the future. 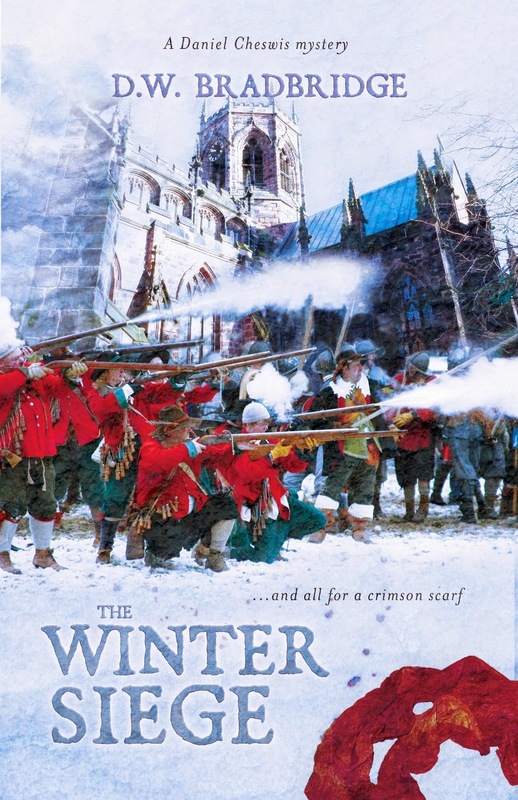 “The inspiration for The Winter Siege came from a long-standing interest in genealogy and local history. My research led me to the realization that the experience endured by the people of Nantwich during December and January 1643-44 was a story worth telling. I also realized that the closed, tension-filled environment of the month-long siege provided the ideal setting for a crime novel." “History is a fascinating tool for the novelist. It consists only of what is remembered and written down, and contemporary accounts are often written by those who have their own stories to tell. But what about those stories which were forgotten and became lost in the mists of time?"